Glass contains three major categories of constituents - formers, fluxes, and network modifiers. Silicon dioxide (SiO2), or sand, is used as the former and basic constituent with soda ash (Na2CO3) as the flux. Lime (CaCO3) and dolomite (CaCO3MgCO3) are network modifiers that stabilize the chemical properties of the glass. The batch plant receives the delivery of raw ingredients for glass making. Delivery of these ingredients varies from site-to-site, particularly when the plant is installed in a country where some of the ingredients are imported rather than domestic. The types of materials can be divided into two principal groups: bulk ingredients including sand, cullet, soda ash, limestone, etc., and "small ingredients" - various combinations of minor ingredients that are used to change physical properties of glass including color, transparency, and refraction. Batch plant storage systems are almost entirely dependent on the quantity of materials to be stored and the period of time for delivery of replacement materials. Production demand and delivery time of materials are critical factors in deciding how to design your batch plant. 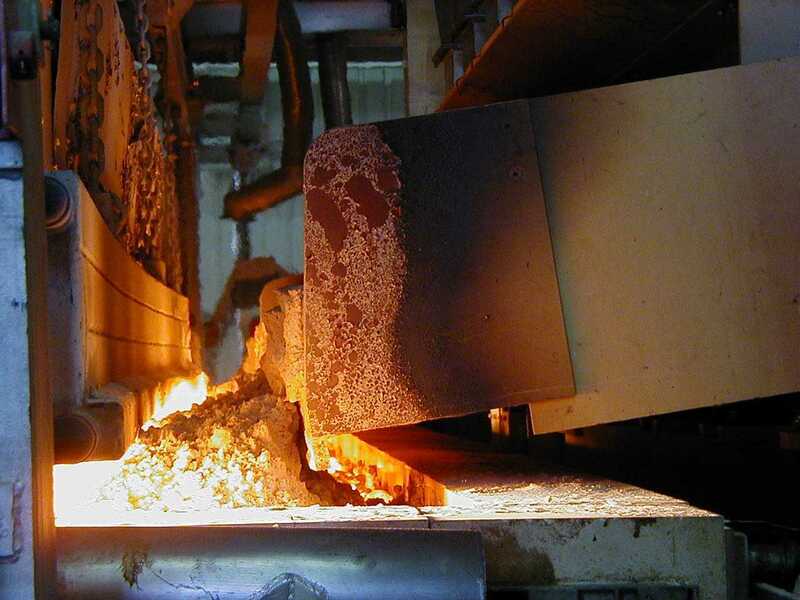 Poor materials, inefficient mixing, or excessive segregation of the batch following mixing can adversely affect the operation of the melting furnace and quality of melt. Therefore, it is necessary to ensure that the materials, as fed into the furnace, represent a mixture suitable for the melting furnace. Handling of the required ingredients, their weighing and mixing, requires special considerations. The number of ingredients, plus quantities to be handled, are such that normal bulk handling techniques cannot normally be used. The degree and measure of plant control systems are a matter of economics and desired mode of plant control. Ideally, each section of the plant should, where possible, be autonomous with respect to its ability to function separately from other sections of the plant. The batch house system should have a control system that will permit automatic start-up and control of the batch plant for filling the furnace hopper as required, with automatic cut-off as soon as the furnace hopper is full. This is usually about an 8-hour shift worth of production needs.